March 2013 is the month when I mark my 6th month of surviving motherhood that I truly enjoy and cherish (although on another note, I must admit that motherhood is not an easy job). Time flies very fast and my little first-born is turning 6 months old in a couple of weeks. My little girl is getting bigger! With that, I would like to express my heartfelt thanks to all my blog readers, especially those who have been following my first pregnancy and motherhood journeys thus far and those who've been sharing their experiences and parenting tips via blog comments or personal messages on Facebook to me (**Thank you for your friendship, guys!**). To show my appreciation to you, I am giving away 2 SETS of Looney Tunes' Baby Bowl with Grinder and Teether. Psst... My Twitter and Instagram followers got the heads up of this giveaway last night, so if you want to be my Twitter and Instagram followers too, be my guest! 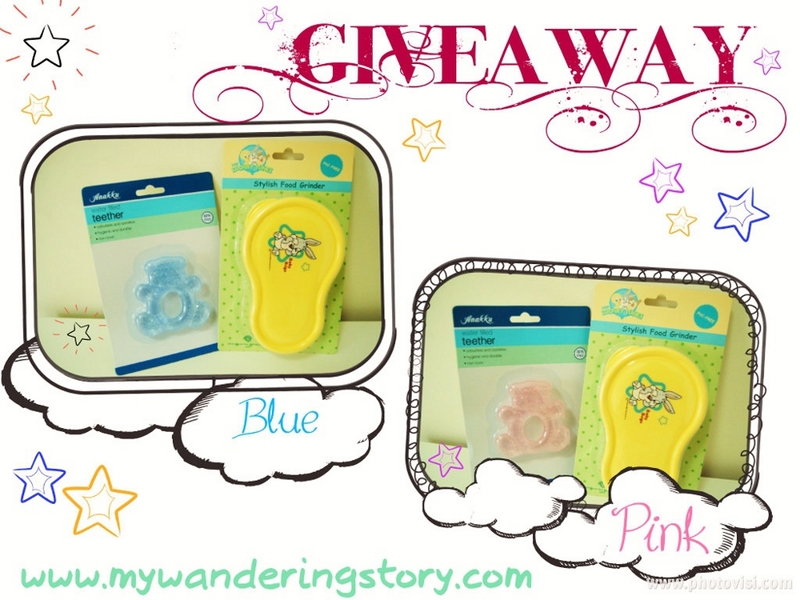 Anyway, if you are new Mom like me, you'd definitely find the bowls and teether that I am giving away useful. I personally love the Looney Tunes' baby bowl because its grinder is very useful for making home-made mashed banana or fruit purée for my baby, has cute design, comes with bowl lid and baby spoon too. Also, the teether is an important soothing tool for every baby during his/her transition in showcasing gummy grin to a mouthful of gleaming teeth, so parents should keep at least one teether for their teething babies. Wait... What if you are not a Mom yet or you are a Mom of a toddler instead of a baby, should you join this giveaway too? Yes, yes, yes! If that is the case, you might want to just win this contest for your future baby and consider these as a small 'investment' for your coming little bundle of joy. Else, you might just want to win this set for your friend's baby or your nephew/niece. Good idea? SHARE this giveaway contest on your Facebook, Twitter, Instagram or email. This giveaway is open to Singapore, Malaysia and Indonesia based readers only. 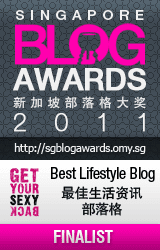 This contest ends on Tuesday, 12 March 2013, 11.59pm, Malaysia time. Two (2) winners will be randomly selected and the names will be announced on 13 March 2013. Be sure to return to my blog next week to check the results. Have fun with this giveaway and good luck, everyone! Winners, please claim your prize by sending me your email address within 2 weeks' time (from this announcement's date) so I can send the prize to your mailing address. Thank you for participating in this giveaway, everyone! cheers and thanks for this lovely giveaway! Just wanna congrats baby naomi's 6th monthversarry hahaha and enjoy solid food!